Is the first time you have had support from the Dave Rayner Fund? What is your cycling history? I've always cycled, to school and to generally get around as well as on holidays. I did my first race when I was 14 and fell in love with everything about competitive cycling, joined a club and I've been racing ever since. What team are you joining? 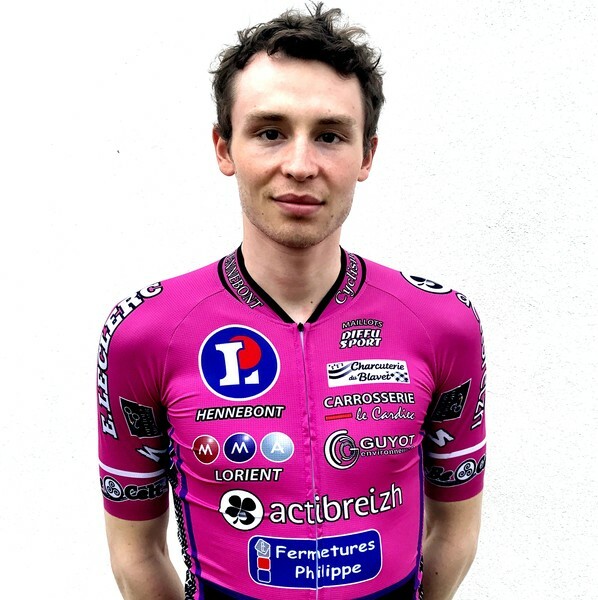 I’m with Hennebont Cyclisme for the second year. Tell us a bit about your team. Hennebont Cyclisme is in Brittany based in the town of Hennebont just outside of Lorient. It has been successful in the past of moving riders on to big Division 1/continental French teams, a path I hope to follow. What is your race programme looking like? Racing this year consists of national elite road races in Brittany and around France. What bike will you be riding and who supplies the team kit? The team is supplied with Specialized Tarmacs and Diffu Sport manufacture the clothing.